View More In Utility Racks. 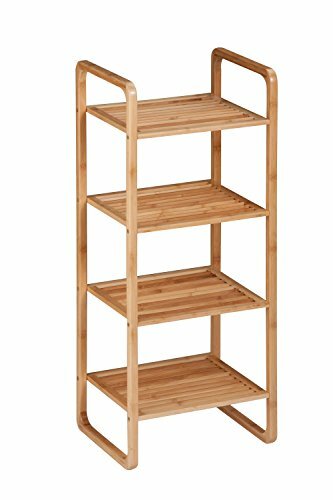 Honey-Can-Do SHF-02099 4-Tier Natural Bamboo Accessory Storage Shelf, 14L x 11W x 36H. Sustainable Bamboo is environmentally friendly and proves a versatile utility. Natural Bamboo with soft lacquer finish. Measures 14.57L x 11.81W x 36.42H. Tiered 4-shelves great for entryways, offices, bathrooms, spas, bedrooms and any other space needing organized. Backed by Limited Lifetime Warranty - Quality construction will provide years use. Home organization made easy.